When you lease a Mercedes-Benz with us, you may be able to get more car for less money. That’s because a car loan is based on the full price of a new car, while a lease is based on only a percentage of the car’s price. At Fletcher Jones Motorcars, we’ll customize a program to fit your specific needs, so you can more fully enjoy the benefits of leasing a car. Down payments associated with leasing vs. buying a car are also different. If you only have a small down payment saved up, leasing may be the better option for you. Many car leases require anywhere from $0 to several thousand dollars up front, though the down payment is negotiable. Many leases last up to four years, which is typically the length of our new car manufacturer warranty (4 years or 50,000 miles). That means the car is usually covered under warranty for repairs for the duration of the lease. You’ll still be required to maintain the car, though, which would include Synthetic Motor Oil Replacement*, tire rotations, and factory-recommended maintenance. Failure to complete proper maintenance can result in fees when the lease is up. Inquire today about our pre-paid maintenance services**. If you enjoy having the newest high-tech features, leasing could be the better choice for you. Since you’d be leasing Mercedes-Benz vehicles periodically, each new car you lease will have the latest and greatest technology and safety features. With a Mercedes-Benz lease, you don’t have to worry about selling the car or getting a good price for your trade-in. When the lease is up, you can simply turn in the car and walk away. View all of our Mercedes-Benz lease specials, and find the lease of your dreams! **For details, exclusions and limitations on Mercedes-Benz Star Service Prepaid Maintenance, contact your dealer, visit www.mbusa.com/maintenance, or call 1-800-344-8736. Exchange – Exchange your Mercedes-Benz for a new Mercedes-Benz of your choice. Extend – You may be able to extend your current Mercedes-Benz lease*. Purchase – Purchase or refinance your existing Mercedes-Benz**. Return – Make arrangements with Fletcher Jones Motorcars for assistance with your vehicle inspection. For additional information regarding your lease end options and scheduling an inspection, please submit your request, or contact us at (949) 718-3000 to speak with a Loyalty Specialist today. *Subject to credit approval, Extension valid on your current Mercedes-Benz Financial lease only. May require a purchase order. Extend – You may be able to extend your current Mercedes-Benz lease up to 6 months*. For additional information regarding your lease end options and scheduling an inspection, please submit your request, or contact us at (949) 718-3200 to speak with a Loyalty Specialist today. *Subject to credit approval on your current Mercedes-Benz Financial lease only. In conjunction with Mercedes-Benz Financial, Fletcher Jones is proud to announce the Rising Star Program. With three distinct paths to assist customers who have minimal credit histories purchase or lease a Mercedes-Benz, we’ll guide you towards your new Mercedes-Benz lease. A College Graduate – Geared toward those with a degree and no car credit who are now progressing in their career. A Student – For local and international students needing a path toward approval. First Time Buyer – For those with limited credit who do not require a high amount to finance. Fletcher Jones Motorcars is your Authorized Lease Return Center in Southern California. Regardless of where you leased your Mercedes-Benz, all leases through Mercedes-Benz Financial Services can be returned at your convenience to our facility—saving you precious time. If you have another luxury make in your household, we ask for the opportunity to provide you with a professional appraisal at your convenience. We are currently looking for one-owner pampered luxury vehicles to add to our pre-owned inventory. * Eligible leases will receive an inspection report at completion of lease return and $100, which will be delivered by mail within ten days. Customer is responsible for any excess mileage, wear & use, and applicable turn-in fees through Mercedes-Benz Financial Services. Lease return does not imply commitment to pay any remaining payments on existing lease term. This letter must be presented at time of inspection. Offer valid only at Fletcher Jones Motorcars. Cruise through Orange County in style. 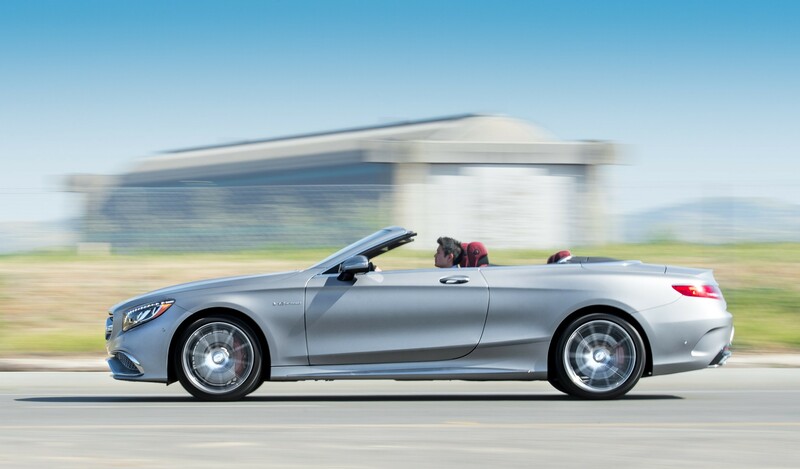 Shop the latest selection of Mercedes-Benz models and get behind the wheel of yours today. From the stylish C-Class Sedan to the with seating for seven GLS SUV we have a suitable vehicle for every need. The Mercedes-Benz Fleet Program gives you the opportunity to use an exclusive incentive on the purchase or lease of a top-performing, premium vehicle. Whether you’re building a fleet or using an executive allowance, Mercedes‑Benz vehicles are second-to-none.